Nanton, Alberta! Well whaddya know. Gerry Bast here from Calgary. I have only scanned through this and will read it later with my wife, Jill. It was shared on New Kind of Faith – Facebook. Faith should always be New! We should always be moving forward. And camping! Good to see a fellow Albertan here! My family and I attend “The Refuge Church” in Calgary. This is a great church which fully embraces the hope of universal restoration. I would love to connect with you there sometime! Ryan, would love some feedback about my concern with the concept of progressive revelation. I struggle with the argument of progressive revelation because it appears to lead argue the point that god withheld truth from us (previous generations) because we weren’t ready for it…it was too big of a jump for us to make. In the end, because he withheld truth about himself, we (mankind) continued in our misunderstanding of god even though it wasn’t as egregious as previous generations…thus people lived their whole lives never having the opportunity of knowing and relating to the reality that is god, or worse yet, believing they were doing things god wanted or required which cemented them in their ignorance of knowing god as love. Does love withhold truth, thus allowing non truth to continue? The other difficulty I have is with revelation itself. If god is love, then we come to know him through experience; not through propositional truth. Therefore, when god reveals himself to a person or a group of persons, he would not use a form of revelation that would be interpreted through each individual’s worldview (propositional facts), but would use a much more efficient form of revelation; intuitional experience. Intuition has the advantage of by-passing the worldview filters that lead to misinterpretation of truth. The problem with intuition (heart truth) is that the mind can override this revelation if we allow it to dominate the intuition. This, I believe, is where we (and those who came before us) have always gone wrong. God reveals himself to us intuitionally, but our minds (judging this revelation with our a priori worldview) cannot “fit” this revelation within our views of god, therefore we incorporate what we can (making small steps towards understanding god as love) or discard the revelation altogether continuing in our state of ignorance of god’s true nature. God’s revelation of himself as intuitional love has never changed. Our acceptance of this revelation (what our hearts know as truth but our minds have trouble accepting) is what is changing. We are to blame for the baby steps; not god. That is an excellent question. I don’t think God is necessarily erroneous in withholding truth from us and like anyone else, I really cannot claim to understand God’s methods. I think the more pertinent question about a God who is love is: Is love patient? Does love use coercion? Does love force truth upon us? I mean, even with the perfect representation of God in Jesus, for the last 1500 years, the western stream of Christianity STILL believes that God is at worst, the angry deity of the Old Testament. At best, He is some bipolar entity who is love and forgives all, yet will torture those who refuse to repent and bow the knee to Him before their corporal existence has ended. For myself, I have come to embrace the perennial tradition. I believe that throughout the ages in all cultures, we as humans have intuitively experienced God and our hearts know Him. Some also understand with their heads, but most cannot get past the blindness that their human experience has brought them. Objectively, yes, Jesus is God and our salvation (healing of the separation that exists in our minds) can only come through Him, and yet others know Him through different names. For example, Mahatma Gandhi was a Hindu and yet was certainly more of a “Christian” (Christ follower) than most evangelical Christians I come across today. I believe that some people will “get it” while living in the physical realm. Most will not. However, I believe that there is only one place that we go when we transcend to the metaphysical…and that is God’s presence. And God is Love. God is restorative—not retributive. One day we will be exposed to naked truth and I don’t think that a God who is love is capable of creating anyone who is ultimately able to resist what they were made for: relationship with God. I don’t understand why we don’t see more clearly in the here and now, but I do have hope for the then and there. As for myself, I purpose to participate with Him in helping others understand this restorative God of love through my life, my writing and teaching right here, right now. Hey Ryan, I’m hugely sympathetic to the underlying ideas presented in your article, but am concerned that we’ve missed the underlying beauty of sacrifice, because we’ve believed absurd atonement theories presented by modern evangelicals. In Romans 12, after Paul states that God “consigned all to disobedience that he may have mercy on all,” and as the entire imperative thrust of his 11 chapter theological discourse, he writes: “I appeal to you therefore, by the mercies of God, to present your bodies as a living sacrifice, holy and acceptable to God, which is your spiritual (logikos, logical) worship.” Paul is clearly not stating that God needs further sacrifice to accomplish the work of forgiveness or to appease his anger, he is arguing that sacrifice is what God has been longing for all along. Mercy is sacrifice. Atonement for sin was only part of the sacrificial system. Not all sacrifices were offered in fear, but clearly some were offered in thanksgiving and praise. Think of Solomon dedicating the temple or David dancing before the Ark of the Covenant. Or think of Jesus; I think he enjoyed laying down his life for me. One day, I will enjoy laying down my life for him. Sacrifice is “giving blood.” “The life is in the blood.” Humanity is truly one body in Christ. In a living body, sacrifice is not death but the very definition of Life. If one part of my body refuses to surrender the life or “lose the life,” it won’t find it’s life. Unless each member bleeds out, nothing can bleed in; the blood clots. To freely sacrifice like Christ is the very definition of love. We do not need to sacrifice in order to appease the wrath of God, but until we sacrifice as Christ sacrificed, we cannot know Love and live eternal Life. We must lose our life (“the life is in the blood”), to find it. “For in self-giving, if anywhere, we touch a rhythm not only of all creation but of all being. For the Eternal Word also gives Himself in sacrifice; and that not only on Calvary. For when He was crucified He “did that in the wild weather of His outlying provinces which He had done at home in glory and gladness” [George Macdonald]. From before the foundation of the world He surrenders begotten Deity back to begetting Deity in obedience. And as the Son glorifies the Father, so also the Father glorifies the Son… From the highest to the lowest, self exists to be abdicated and, by that abdication, becomes the more truly self, to be thereupon yet the more abdicated, and so forever. This is not a heavenly law which we can escape by remaining earthly, nor an earthly law which we can escape by being saved. What is outside the system of self-giving is not earth, nor nature, nor “ordinary life,” but simply and solely Hell. . . . Imagine the temple, not simply a place to appease some angry deity. Imagine the temple as the heart in the body of the New Jerusalem that is the Body and Bride of Christ. Why is it so bloody? Because God is Angry? NO! Because God is eternally happy and the heart continually pumps a river of life to every member. To become a member of that body, is not to refuse to bleed, but to bleed freely and continuously. If only one bleeds it looks like a naked man nailed to a tree in the middle of a garden. If two bleed, it begins to look like a healthy marriage. When all humanity bleeds for each other and for God, it will be eternal life and the continuous ecstatic communion that is the Kingdom. I applaud the effort to do away with poorly formed theories of penal substitutionary atonement. I think they are the reason that we all struggle with passages about sacrifice. It’s true that God does not want dead sheep and goats; but it is untrue to say that God does not want us to present ourselves as living sacrifices… or that all the stuff about sacrifice was just people being wicked and then projecting their wickedness upon God. To say so, does such violence to Scripture that it seems absurd to read it at all. On the day God delivered Israel from the Egyptians He did not instruct them regarding “burnt offerings and sacrifices” (Jeremiah 7:22), but he did instruct them regarding the sacrifice of a passover lamb. He is that lamb. He is standing on the throne as one “freshly sacrificed.” We are being made in His image–the image of absolute love. Jesus didn’t sacrifice himself so that none of us would ever sacrifice. He sacrificed himself so that all of us would sacrifice in freedom and joy. To sacrifice is to forgive–aphiemi in Greek–it is to let the blood flow. As I stated I whole-heartedly support the effort to portray God as Love, because He is. I would just argue that sacrifice is not the opposite of Love, but ironically, it’s definition. Peter, those are some good thoughts! The premise of the article was to show that we as humans have never been required to do anything to gain the love and acceptance of the Divine. There is however a sense in which we are to live a life of constant sacrifice. The Greek term is “kenosis”. It is where we empty of ourselves into the lives of others around us unselfishly. And we know that we are in a safe place in doing this as God is always emptying of Himself into our lives. This is the flow of divine love that Richard Rohr talks about. When we realize that God’s Love really is unconditional, we live out of a mindset of abundance. This is where it is a joy to participate in willing sacrifice. The old pagan sacrificial system which I am critical of is a system of perceived scarcity, where there isn’t enough love to go around and we must earn what we do get. This is the system which Jesus came to destroy. Very briefly, I agree that scripture explains the process of man making God in his own image. This includes man’s creation of the false doctrine of eternal punishment. Then comes Jesus and the truth. It’s critical to clarify that although God does not require bloody sacrifices of the flesh, He does require a spiritual sacrifice. Jesus said we must “deny ourselves” and Paul wrote we must make a living sacrifice. This is how we are transformed as we are made in God’s image (spiritual). And yes, agreed, we are Satan. Great website! So refreshing! And so truthful! Yes, I believe what Paul is referring to in “denying ourselves” is to reject the false construct of ourselves which contradicts God’s view of us. Even though this ultimately brings us healing of the soul, the process sure feels like sacrifice! Wow! It’s going to take me a while to get through all of this information. I’ve only got as far as the illustration of Japeth’s vow -can I ask, how did you come to your interpretation of this part of Scripture? What method do you ascribe to in interpreting Scripture? Where did your understanding that God approves of human sacrifice come from? 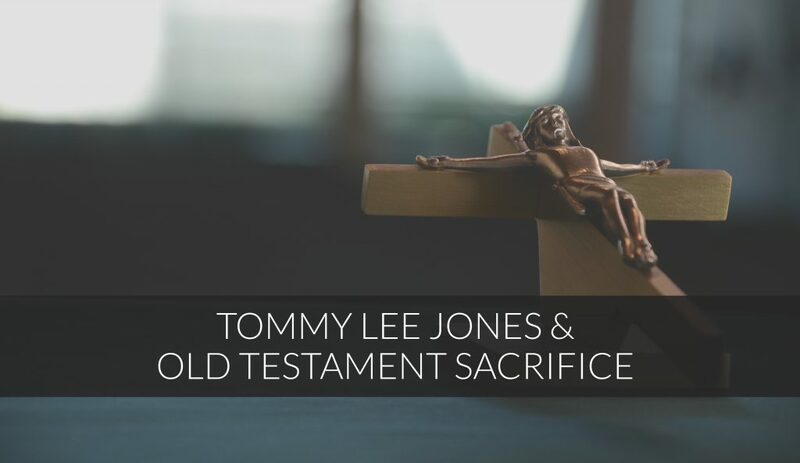 God had specifically forbidden offering human sacrifices, so it was absolutely not God’s desire for Jephthah to sacrifice his daughter (Leviticus 20:1-5). Jeremiah 7:31; 19:5; and 32:35 clearly indicate that the idea of human sacrifice has “never even entered God’s mind.” The account of Jephthah and his daughter serves as an example for us to not make foolish vows or oaths. It should also serve as a warning to make sure any vow we make is something that is not in violation of God’s Word. (Also, it is not specifically stated that by sacrifice it meant he put her to death -it seems a little odd that her biggest concern was she wouldn’t get to marry. It could be that he dedicated her to the service of spiritual worship, we don’t know, but the point is that God was against human sacrifice as clearly stated in Scripture). As for Abraham’s willingness to sacrifice Issac, he was a man recognized for his great faith. He knew his God. He believed in the specific covenant (promise) of a great nation, and the Savior -even specifically stated through the line of Isaac, not another child, but through Issac (Gen.12:2-3, Gen15:4-5,gen.21:12). Abraham knew Isaac would NOT die, or that God would have to raise him to life again (Heb 11:17-19), because God had made an unconditional covenant with Abraham. He would not, He could not break it. Clearly your interpretation of this illustration does not line up with what the rest of scripture says. Scripture does not contradict itself. Definition: An argument consists of a sequence of statements called premises and a statement called a conclusion. An argument is valid if the conclusion is true whenever the premises are all true. You’ve presented an argument (you’ve given more than two premises, followed by a conclusion), however it’s not a valid argument (according to the above definitions), therefore I find it difficult to even discuss. I can’t refute your experience, it’s your experience. And your conclusion? How can we even begin to discuss its accuracy or its validity when it is “drawn out of a hat” so to speak. Your conclusion appears to claim that it comes from your new and proper understanding of Scripture (a proper understanding of the author’s intended meaning), but in truth it is merely drawn from your own understanding and experience. 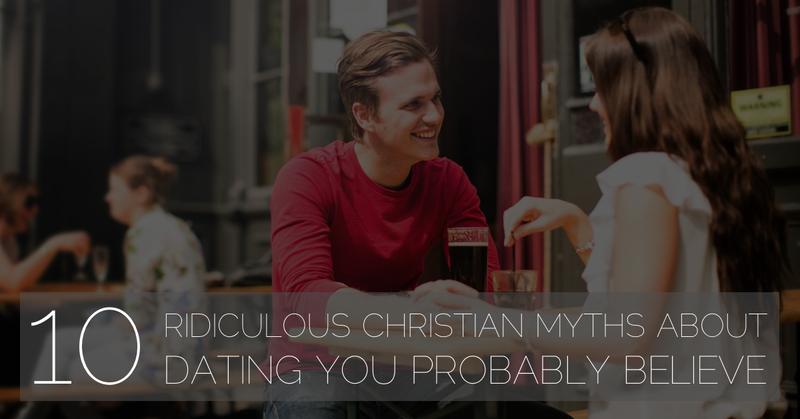 Reading over scripture and drawing conclusions hardly represents accurate interpretation. There is a science to proper interpretation. The premises you’ve presented are your opinions of the teachings you were taught from your youth until fairly recently, and now consider to be wrong. Your conclusion, however appears to be drawn from your interpretation of what God has written. Therefore what you have written cannot be considered a valid argument. Change your conclusion to be a representation of your thoughts and feelings, based on your premises and you have a valid argument. One I would not argue with. I would not deny your thoughts or your experiences, how could I? Are you interested in discovering Truth, for truth’s sake? Or are you most interested in defending a position you really like. I’m willing to have my understanding of scripture challenged -always! But I’m not interested in how you see it -I’m not particularly interested in how I see it, or how anyone else sees it, if it’s not truth. I have studied why the Bible is to be believed when it claims to be the Word of God (I did not search out good arguments, or look for evidence to support my preconceived understandings). It was an interesting study. I believe the Bible to be the Word of God. I have studied hermanutics, and have carefully chosen a method that best gives understanding to God’s intended meaning, through the many author’s He chose to write through. Ryan, you are teaching. You are, most certainly, passionately looking to convince people of “your truth”. Are you seriously convinced you are right, because what you understand resonates within you, or because your experience explains it? Any woman can tell you that emotional attachment to a feeling does not represent truth. If it did truth would be extremely subjective, volatile, and undependable at its best -not worth staking your life on! I love to search out truth, but truth is not confirmed by passion, experience, or persuasive opinions. Have you got something more for me? What I hear you saying is that you are not actually interested in seeking out truth. You are only interested in vindicating the “truth” that you grew up with and are comfortable with. Any honest truth seeker who studies the early church fathers (pre-Augustine) and their theology cannot miss the self evident fact that modern evangelicalism is a sharp departure from early church theology and is in fact heterodoxy. Also, the bible is not the word of God. It makes no claimes to be as such and even if it did, that would be an argument formed from circular logic which is not particularly compelling. Jesus is the Word (logos or logic) of God. Not the bible. As Brad Jersak has said, “The Word of God is inerrant and infallible and when He was 18 years old He grew a beard”. It seems to me that this has ceased being a discussion and has turned into an argument. Arguments are hardly ever helpful. As such, I will no longer engage with you on this platform. However, should you become interested in friendly and intellectually honest discussion, please do contact me. Let’s not pretend that we haven’t known each other for over 30 years. I’m easy to find. Sorry, Ryan, I am sincere in pursuit of Truth. I don’t wish for argument. I’ve many questions and I am seeking to understand what you are teaching. We may have known each other for thirty years, but you assume wrongly when you accuse me of seeking to defend my truth. I’ve asked many questions -I have not refuted any of your doctrinal beliefs, nor have I shared with you any of my own. I asked if you would be interested in discussing Scripture, as it is something I truly enjoy discussing. Your reply indicated it was something you also enjoyed very much, and you indicated you would be happy to discuss this topic with me. So far there hasn’t been any discussion. In answer to my questions you’ve pointed me to your writings of which I have taken time to read (quite a few of them) looking for the answers to the questions I’ve asked. I haven’t found specific answers, but have gained a general understanding of your what you are believing, and what you are teaching. Again there has been no discussion. There has been no debate. You have no way of knowing a single thing that I believe. You have not asked a single question of me. And, again, you have not answered any of my questions. I realized that discussing specific understanding of doctrine was going to be difficult, unless I had an understanding of how you determine truth. Most of my questions have centered around this In a respectful way, I believe, in order to gain a better understanding of what your plumb line is. Have I challenged you -well, isn’t that to be expected in debate? Was my challenge inconsiderate or not appropriate to the topic? I’m a serious student -and by that I don’t mean all knowing. What I mean is I’m intentional about what I believe, and why I belief it. I am digging, and I will continue to dig for truth. I believe truth is knowable and meant to be known. I believe truth is objective, and not subjective. I believe truth is not under the authority of my experiences. I am not satisfied with being told what to believe, I have some knowledge of the early fathers and some understandings of different doctrinal beliefs. I believe the best, most accurate understanding of church doctrine comes from the earliest teachings (the apostles, and prophets). I’mnot a philosophical student. I am certainly not against you. Your entire family are, what Dan and I have considered, very much a part of the people we have strong affection for. That I have taken the time to read much of what you have published, to respond to , and to ask questions of is because I have known you since you were a boy, and is related to that affection. What has transpired is a sincere interest in understanding what you believe to be the truth, and in what I believed to be of mutual interest. I’m not interested in arguing with you Ryan. In fairness, you invited me to discuss this topic with you, and to read these articles. Following each of them is a comment section in which I placed my comments and questions. Again my questions are centered around how you determine truth. Are you interested in Truth? Are you open to discussion? Are you willing to defend this “new truth” (your words not mine) Are you able to defend it beyond saying it’s my experience, because just as my experience doesn’t give Truth its authority, neither does yours.